Like Olivia Pope, I’ve had the “Be Twice As Good Talk” before. Have you? I was fortunate to have this conversation with famed O.J. 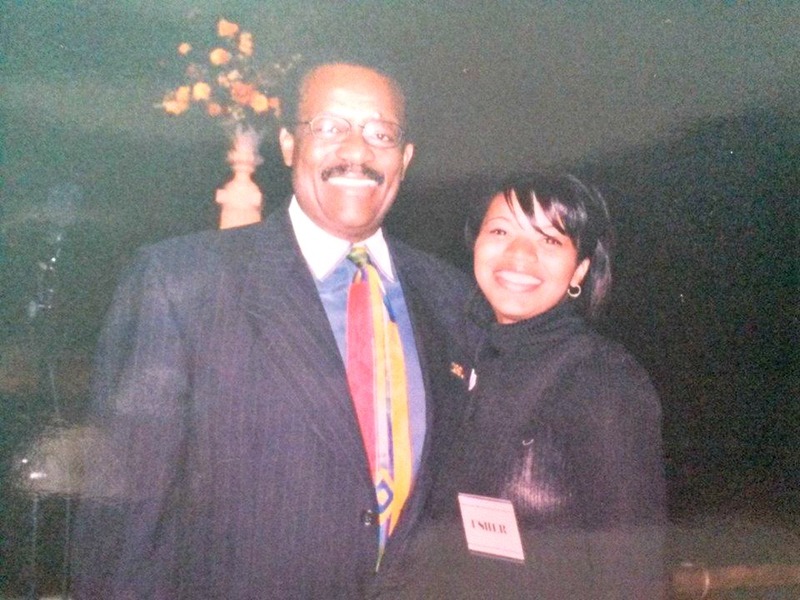 Simpson attorney Johnnie Cochran, Jr. While a junior at Duke University, Mr. Cochran gave a speech on race. Being an usher for the event, I had up close and personal access to him. To say he was magnetic is an understatement. His presence lit up the room. He was a black man fully walking in his purpose and power unapologetically. I knew I was standing in the presence of greatness. As Mr. Cochran and I waited for the event to begin, we struck up a conversation. Like a favorite uncle, he encouraged me for 10 minutes. Midway through our conversation he leaned towards me and said, “Remember, you have to be twice as good as your peers to achieve half as much.” I nodded my head and tucked his advice in my heart so I wouldn’t forget it. Being a minority student at Duke University, I could definitely relate to this notion of having to be twice as good to get the same grades. The following year, still heeding Mr. Cochran’s advice, I pushed myself like never before and had the best semester in my Duke career. I carried his advice with me for years. I have to be twice as good… twice. Looking back on this experience and the advice, I must admit that there is truth to it. However, some people use this as an excuse for not being further in their life and career. When Mr. Cochran gave me this advice, I was a lousy student. I had a 3.0 GPA, but I wasn’t giving it my all. I was lazy and unfocused. I was too busy chasing after Greek Life and my first love. To be honest, I was NOT entitled to use the “I have to be twice as good” argument to explain why I was not a better student. ARE YOU REALLY BEING YOUR BEST? I am not saying that there aren’t injustices in the world. I’m not saying that people don’t get slighted for promotions. I’m also not saying that some people don’t face outright racism or sexism that directly affects their outcomes. What I am saying is that in order to use the twice as good argument, you really need to be operating at your best. You know when you’re winging it and just going through the motions. When I met Mr. Cochran, I was going through the motions as a student. However, I turned it on and went for it my senior year at Duke. I finally achieved those “A’s” that seemed to allude me in previous years. As a business owner, I experienced the same thing. When I was just going through the motions and hiding behind my fears, I received mediocre results. But when I “turned pro” as Steven Pressfield would say, my business and influence skyrocketed. Closed doors flung open and I started making amazing connections. I found that when I presented and became the best version of myself, opportunities found me. I wrote this article because I want you to be the best version of yourself. I acknowledge that injustices abound and that there are double standards. What I’m hoping you take away from this article is not to use “the twice as good” argument as an excuse for why you aren’t where you want to be. Only those who are truly being and doing their absolute best can use this argument. Choose to be your best because being your best always seem to outmaneuver and make room for you in spite of injustices you may encounter. What are your thoughts on the “twice as better” argument? Have you had this talk before?